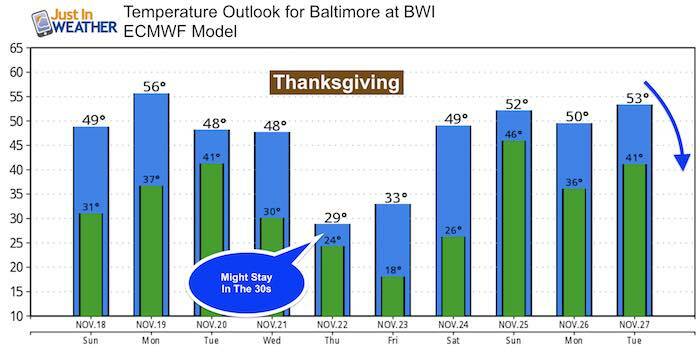 Today will be quiet and mild, which is great news in Baltimore for the Ravens game. Then we shift our focus to the Thanksgiving week that will feature a lot of changes. The first system on Monday night wil be benign with light rain, but you may run into snow near State College PA. Then temperatures TANK on Thanksgiving. 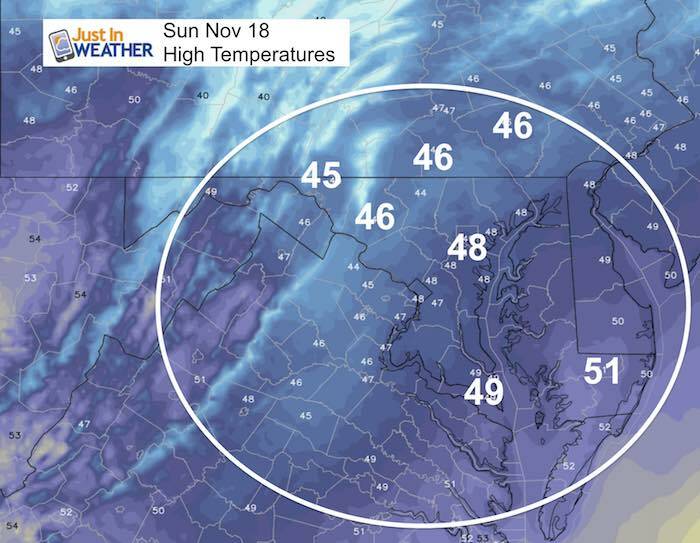 Turkey Trot runs in the morning will be in the 20s for many and the afternoon will struggle to reach freezing around the cities. At least cooking in the oven or lighting up the fireplace will be justified to warm the house. The next event will be Thanksgiving weekend. At this time models are showing rain, but I hesitate to confirm as cold air has tended to hang on longer. 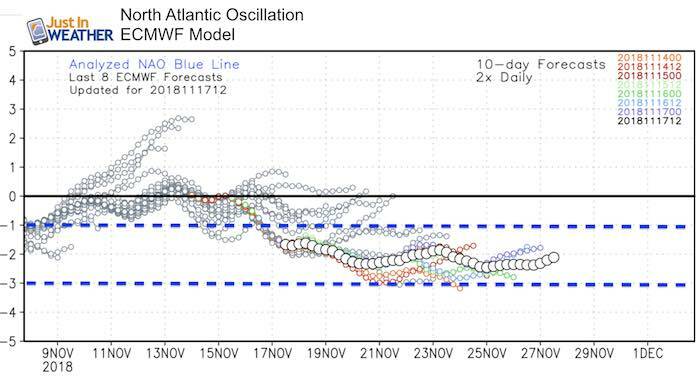 There will be a developing storm on the east coast that should start with us on the warm end… But signals pointing to a major pattern change beginning then and lasting into the start of December. 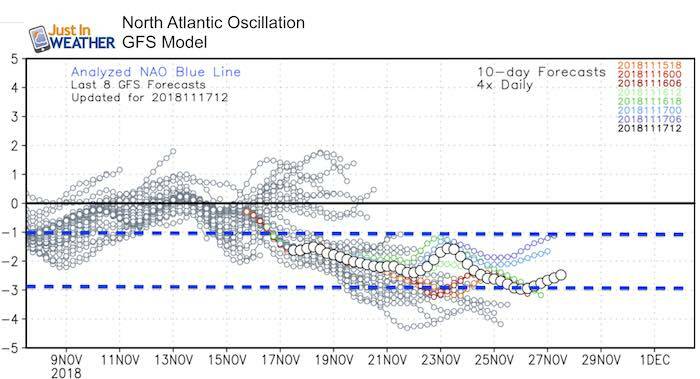 The North Atlantic Oscillation (NOA) is and index I discussed in my winter outlook. This is a measure of the pressure pattern in the North Atlantic that can play a big role in our weather on the US east coast. 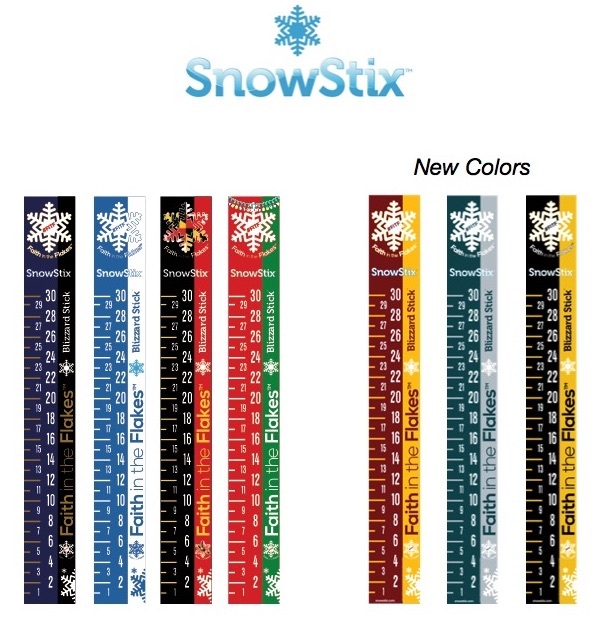 A negative value will translate to stormy and colder weather … often. 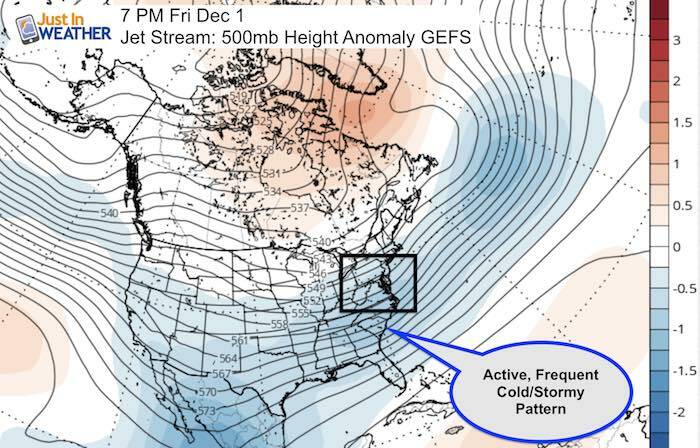 So check out the long range projections on the Euro and GFS (America) Models.